How do I get to Marbella from Malaga train station? Are there left luggage lockers at Malaga train station? 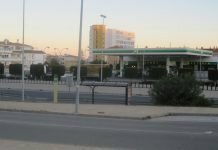 Can I return a rental car to Malaga train station and then catch a flight from Malaga airport? 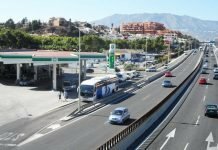 Bus, transfer, or car rental from Malaga Airport? 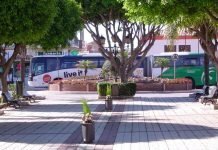 Home Bus stops between Fuengirola and Marbella Mijas Costa or Mijas Pueblo? Mijas Costa or Mijas Pueblo? I wrote back to Colin: “Hi Colin, thank you very much for your kind words! Much appreciated. To get to the TRH Hotel Mijas you must travel to Mijas Pueblo (Village) which is up the mountain behind Fuengirola. Mijas Costa is part of the enormous Mijas urbanisation which stretches down from Mijas Pueblo and spreads along the coast between Fuengirola and Marbella so don’t travel there! La Cala de Mijas is the main town on Mijas Costa. 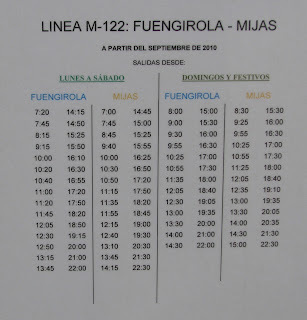 When you get to Fuengirola train station, walk a block to the bus station and then take the Mijas Pueblo bus. As the bus pulls into the village, it goes past the hotel which will be on the left. There is no bus stop right there but you can walk back to the hotel or take a taxi for a minimum fare of a few euros. 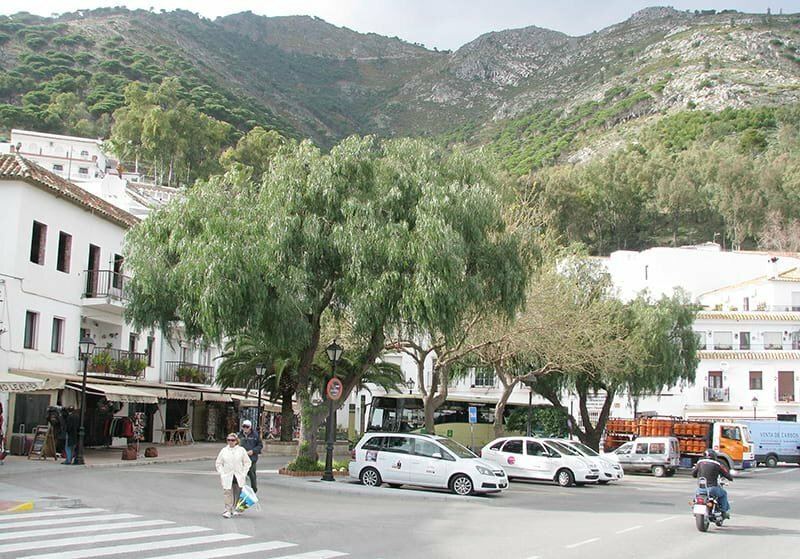 For visitors to Mijas Pueblo the burro taxi service is very popular to have a look around the town. The donkeys are well looked after. “Hi Mike. Good information regarding location of our hotel as we might have ended up in the wrong place! We were happy to be in the Mijas Pueblo village though and your directions were straight forward enough for us to reach there. Thanks very much for the advice with our travel. 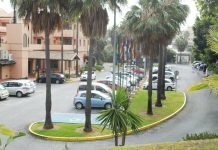 We had a great time and totally enjoyed our hotel and location in Mijas – a beautiful place to visit and very friendly. Train and bus links were very good and great value too. 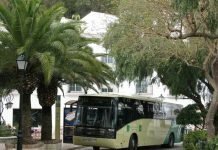 We will definitely return to the area and fancy a visit to Malaga for a break as we visited the city and used the bus tour to see the sights and were impressed. Thanks again, Colin. I wrote back: “Hi Colin, I’m really glad everything worked out well for you. I have to confess I haven’t done the red bus tour in Malaga yet, but it’s on my list of things to do… I also appreciate your writing back, it helps me to know my suggestions are correct or not. I hope you’ll write back next time you come if I can help with anything. Very best wishes Mike. 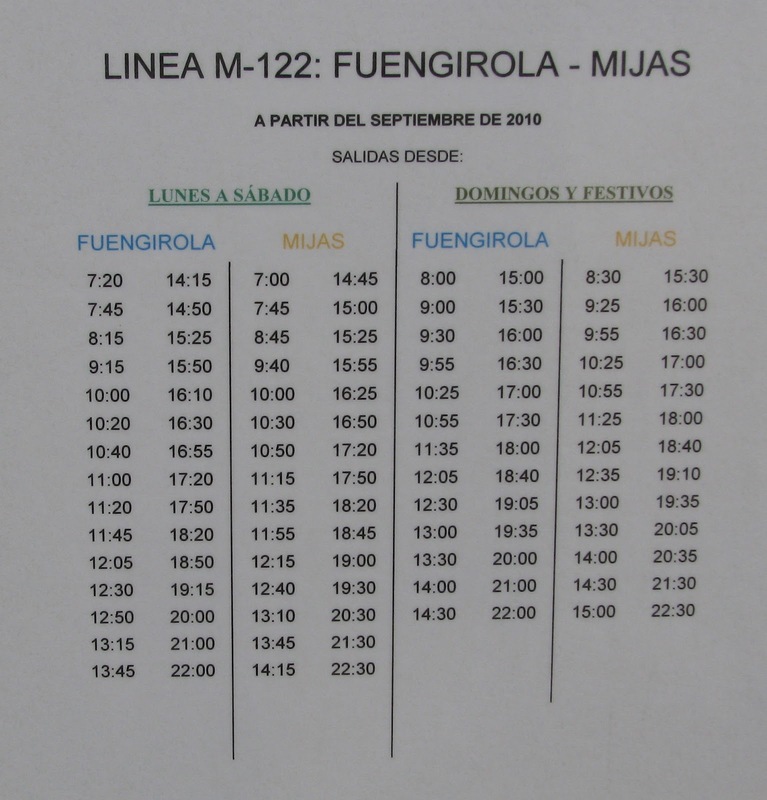 For other travellers from Fuengirola bus station to Mijas Pueblo up on the mountainside behind Fuengirola I have added the bus timetable below. I have lived on the Costa del Sol in the south of Spain for 40 years. I love travelling and enjoy helping others finding their way round Spain or moving here. Next year makes 20 years since Gomarbella started. Travelling, keeping fit, eating well,mountain bikingand staying in touch with my friends and family and Gomarbella users are my main interests. Oh, and if there's anything you want to know about education in Spain, email me!